What if you were offered a bigger house for free? Would you take it? Of course you would! Even if you were perfectly happy with your current place, you could always use more space, another bathroom and perhaps even a better location. I live in a 95-year-old house. It’s loaded with character, charm and history. However, it doesn’t have central heating. There’s no air conditioning. The wood floors creak so loudly I don’t need a burglar alarm. And, depending on the weather, the windows stick so that some of them can’t even be opened. You might say I’ve sacrificed certain modern conveniences. My sacrifices do not, however, extend to mobile communications. When it comes to calling, texting and messaging, only the best will suffice. 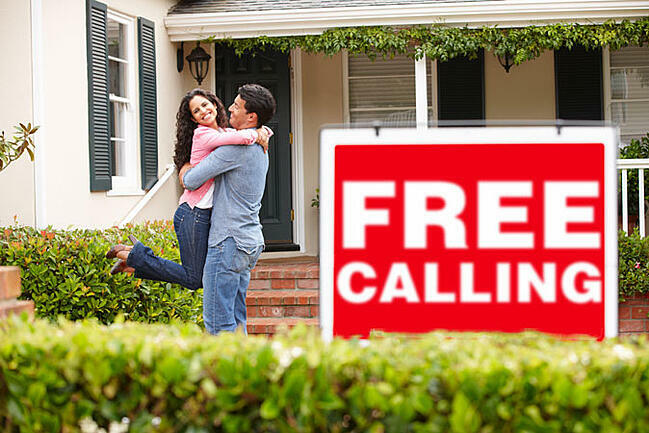 Sure, you can make calls with any mobile service but can you make free calls? You can text but can you text in 60 different languages? Using Voxox, you can do all this and much more! What are some of the everyday things you do with your phone that you can do better with Voxox? Let’s take a look. You’ve been paying for calls since the day you got your mobile phone but you don’t have to! Make unlimited free calls in-network with Voxox. You’ll also be able to make free calls to any phone in the world with their $1 credit monthly “topping off” policy* and ridiculously low international rates. Every house comes with a bathroom. You can get a six-by-six space with a clawfoot tub or you can get one like my sister’s, which is about the size of my living room with a glass shower and massaging showerhead. Both bathrooms provide what’s needed but only one of them does it with extra features. Similar to your mobile phone, you can simply block calls or, using Voxox, you can block calls with a busy signal, an “out of service” message or a custom message of your own. Why just block when you can block with style! For more information on call blocking see TOP SEVEN REASONS TO USE THE VOXOX MOBILE APP. Texting is kind of like your family room. It’s informal and it’s where everyone tends to hang out. Your regular mobile service probably provides texting but can your texts be automatically translated into your choice of 60 languages in real time? With Voxox’s real-time text translation, you send a message in your native tongue and it’s received in the language you choose. Your recipient’s replies are likewise translated back into your native language. One would expect to pay extra for top-of the-line features but these are all included in your Voxox app. Is your dream house organized or are you always searching for your stuff in different places? I often have to dig through several drawers to find items that should be organized together. Not so with my mobile conversations! With Voxox, messages are gathered under the contact they are shared with, regardless of media. Each contact has its own voicemail (automatically transcribed, by the way), texts and media in one place. No searching for texts here and voicemails there. If only my house was that organized! Whatever your communication needs, Voxox goes above and beyond in a better, full-featured, and more organized way than your regular mobile service. Download it for free today.